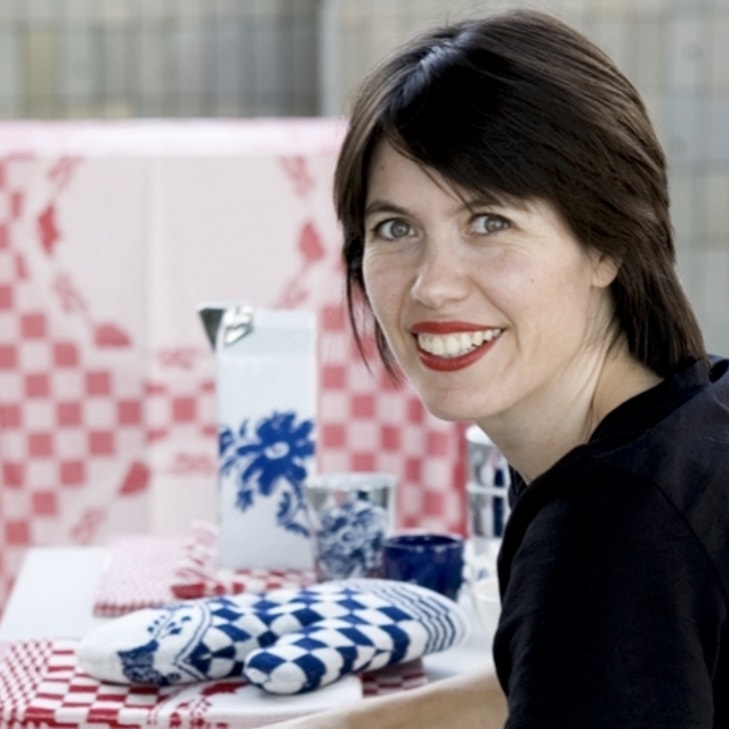 With the name 'Pile me up', Popsicle designer Ingrid van der Veen has given a very descriptive name to the pouffe, which looks like a stack of piled-up pillows. That's what it looks like and you can sit comfortably, but above all firmly on this pouffe. 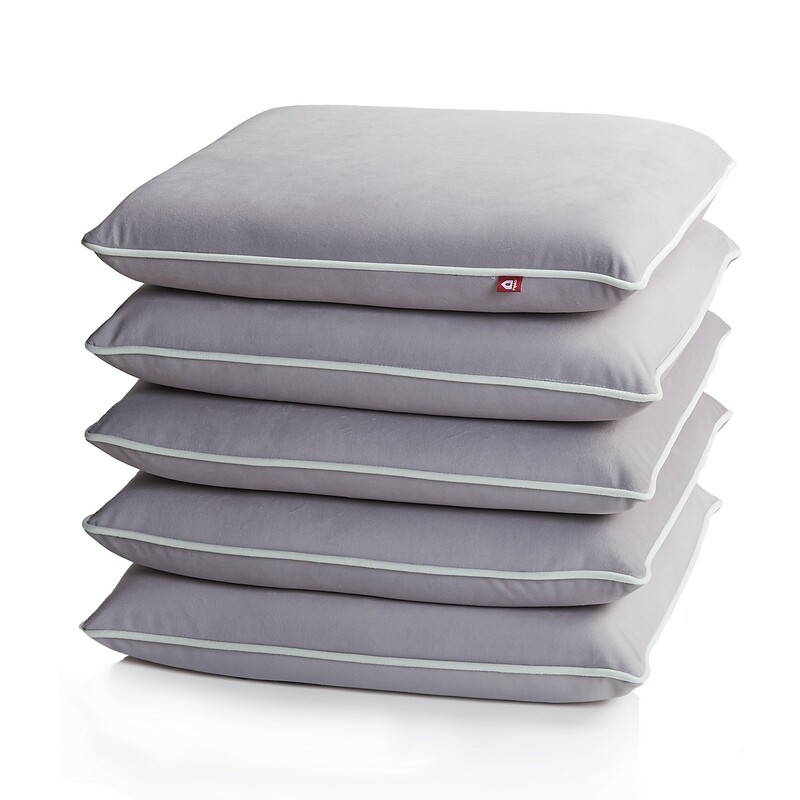 Because the pouffe is made of PVC with a grey textile cover in the shape of a pile of pillows. A stack of pillows or a pouffe? With the name 'Pile me up', Popsicle designer Ingrid van der Veen has given a very descriptive name to the pouffe, which looks like a stack of piled-up pillows. That's what it looks like and you can sit comfortably, but above all firmly on this pouffe. Because the pouffe is made of PVC with a textile cover in the shape of a pile of pillows. The 'Pile me up' Pouf is made from PVC. It is 50 cm wide and 50 cm deep and 45 cm high and has a soft cover made from a combination of 80% wool and 20% polyamide. 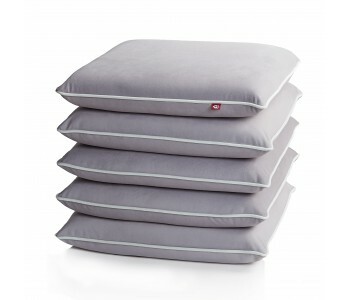 The cover is grey with white piping, which accentuates the shape of the pillows. The pouffe's sturdiness doesn't only make it suitable as a seating element, but it can also be put to good use as a footstool or side table. As with a footstool; rest a tray on the pouffe and put it next to your chair, so your drink or snack is handy. With a row of PIle me up pouffes next to each other, you can instantly create a sofa, a long low table, or a bed. A decorative, but above all, practical addition to your furniture. The Make My Day pillows from Popsicle go together brilliantly with these pouffes in terms of colour, pattern, and use of materials.